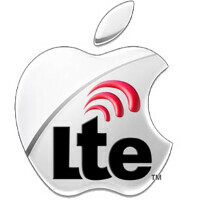 For 2014's quarter that began on July 1 and came to an end on September 31, Apple remained at the very top of the market for LTE-enabled devices by revenue. This got revealed by Strategy Analytics' quarter report, which covers this fast-growing segment of the global handset market. Samsung and LG are, however, following closely and waiting for Cupertino to step off on the wrong foot, but that doesn't seem likely to happen anytime soon. The big surprise here is that Vivo and Oppo have not only entered Top 10 of the largest vendors of LTE phones, but have reportedly nestled comfortably in Top 5, which is nothing short of a big success for these China-based makers indeed. As a whole, the market for LTE-enabled smartphones has reportedly risen by 57% in Q3 2014 in comparison with the quarter before, which makes it one of the fastest growing segments on the market. Apple is breaking sales record after sales record with its newest iPhone offerings, and naturally, this dominance on the market will most likely result in an undisputed dominance in the current quarter as well, but we'll find out if this is truly the case in a few months' time, most probably. Agree. S5 is not better than G3. But Note4 is the best phablet, my personal opinion. For those living in the US without access to the other world phones i would post the same likeness as you. In reality, Vivo would be in the top spot if they ever decide to penetrate the US market. They make the best phones bar none. Samsung comes close in some aspects though. You have a point. Vivo does mold different components from many fabricators to build the best phones on the market. Yes and no, it is very click bait-y and that is why this place is kind of known as iPhoneArena. I mean of all the things in that article they found a way to bend and mold it to get the Apple name up there. Maybe they have to get a quota of Apple articles in otherwise they'll probably get chopped from Apple flavored news events and things. You just have to look at the comments to find that this is very much AndroidArena, not iPhoneArena.